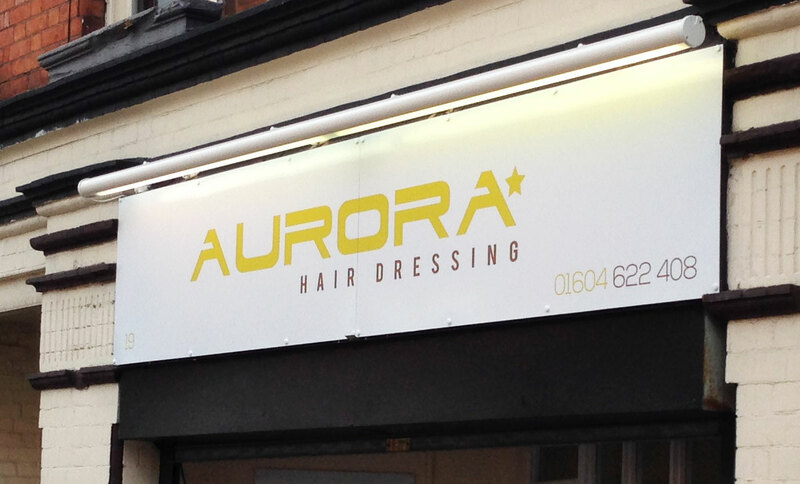 Aurora Hairdressing was a new business in an old hair salon — and with that new business came the need for a new image. The new owners were offering similar services as the old owners, but they aimed to transform the brand into one that was known as a caring, happy, friendly environment that made people feel at home. Since the old business had been there so long, Aurora’s owners had good insight into the existing brand, and they knew they needed to make a bold splash to distinguish new from old. What’s more, they hoped to tap the mobile and online markets in order to generate a new customer base, knowing that more than 50 percent of their visitors came to them after searching their mobile phones. 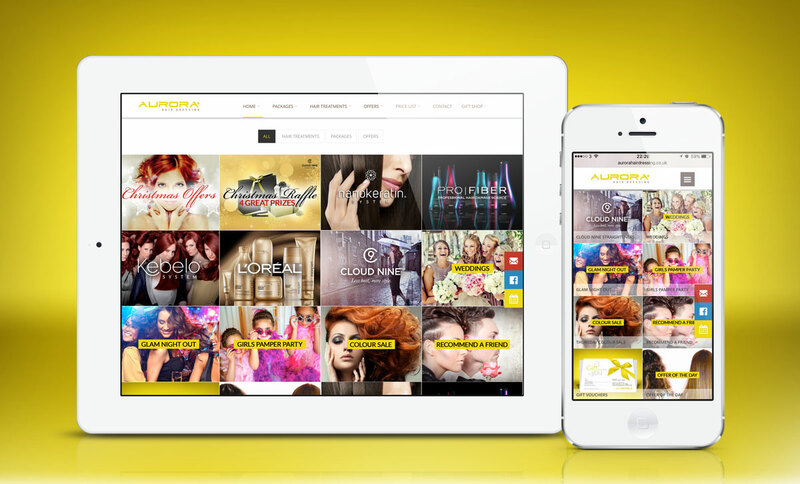 With the new brand image for Aurora Hairdressing came the need for entirely new promotional and branding materials. We built a brand-new, responsive website to replace the outdated one the old salon had had, as well as creating new signage and new promotional materials. 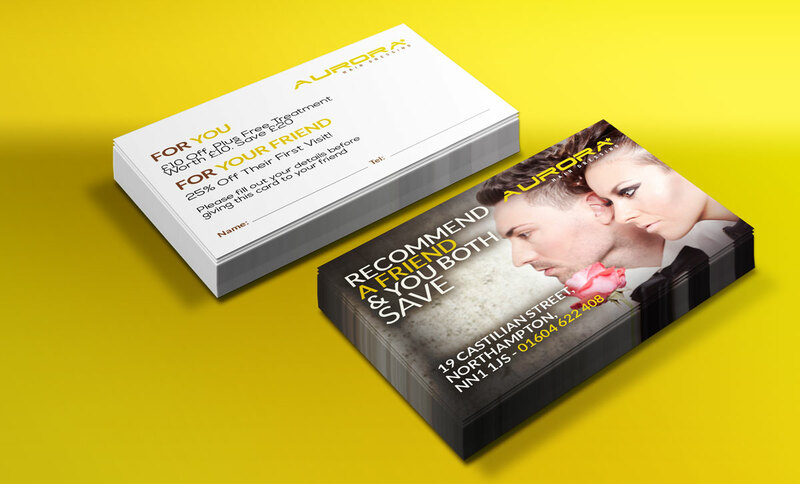 Along with the new look, we created marketing campaigns that would be delivered via SMS, email and social media — giving Aurora a great shot at capturing those prospective customers who found them via mobile phones or the web. 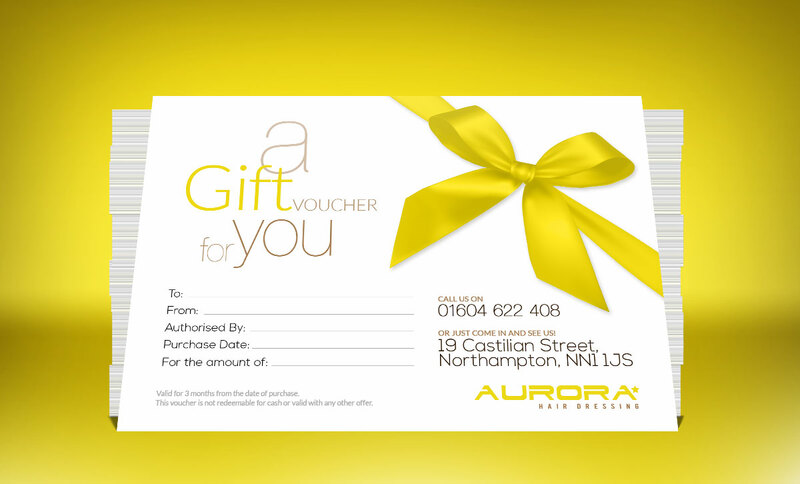 Aurora Hairdressing emerged with a bold, fun, energetic new image — which helped them to firmly distinguish themselves from the previous hair salon and create a whole new life for the new one. 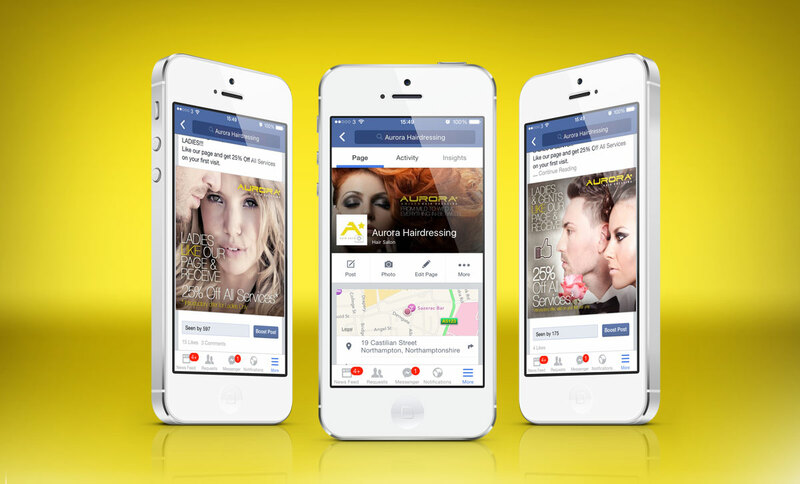 Today, Aurora’s owners continue to see the value in ongoing marketing initiatives and new technologies, and they continue to work with us on updates and marketing campaigns.